The typical western diet is typically lacking good levels of Omega-3 resulting in the balance between Omega-3 EPA and Omega-6 AA to become distorted. 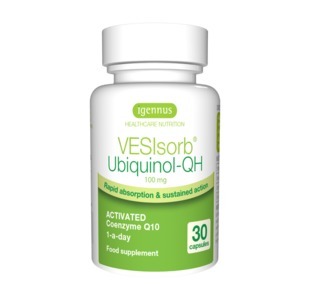 This allows for the Omega-6 AA to convert to pro inflammatory chemicals in the body which are believed to be responsible for many chronic inflammatory Western associated diseases and health issues. In contrast the EPA in Omega-3 produces anti-inflammatory chemical messengers within the body. 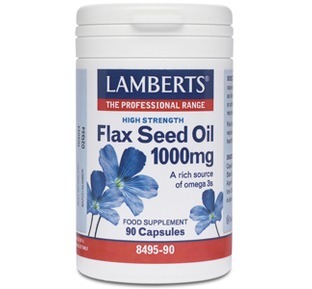 By increasing the ratio of Omega-3 to 6 in the correct direction studies and trials indicate that you are helping your body turn around and restore the higher levels of Omega-3 believed to be beneficial to many health pathways within the body. So why buy a pure EPA supplement instead of a general Omega-3 supplement? Clinical studies from within the scientific community suggest that EPA may be superior to DHA and that EPA may be the more physiologically active part of Omega-3. However, studies also show that although both of these are essential fatty acids they are competitive in their relationship and that the beneficial action of Omega-3 is derived from an excess of EPA over DHA. 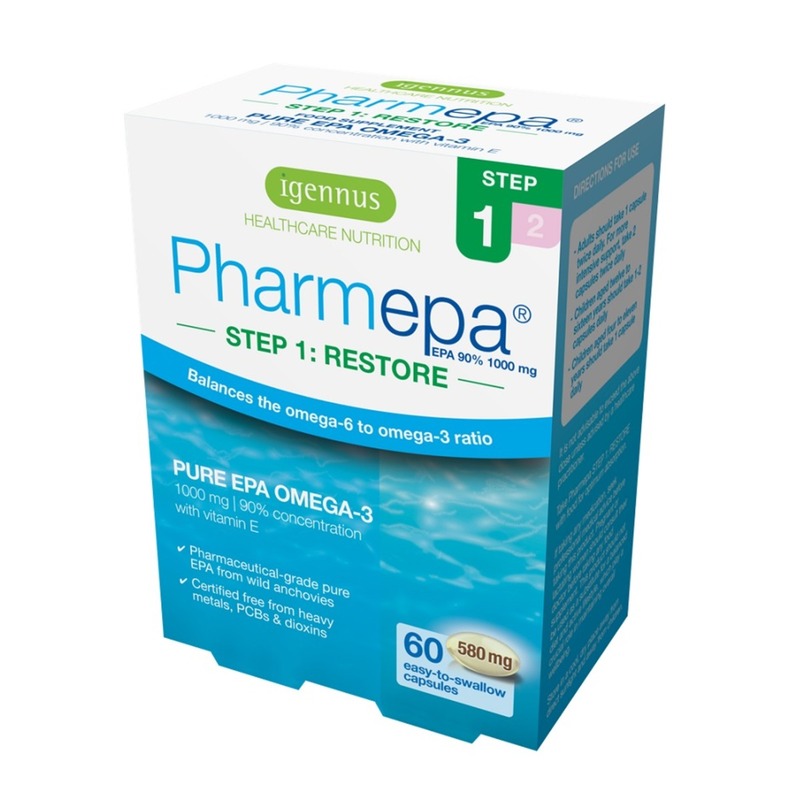 By supplementing with Pharmepa highly purified EPA this allows for a safe and convenient method of achieving the high cellular levels associated with optimum health benefits and a desirable Omega-3 to Omega-6 ratio. Free from dioxins, methyl mercury and PCBs. Many generic cheap fish oils are often sourced from larger species of fish which regrettably contain the higher levels of toxins and accumulation of pollutants when compared to smaller fish such as anchovies. Pharmepa EPA is firstly obtained from sustainable wild anchovies from the clean South Pacific waters and is then purified through a process called molecular distillation which extracts the EPA at cold temperatures to ensure you the upmost purity. What is the difference between Step 1 and Step 2 & how long should I take Step 1 for? 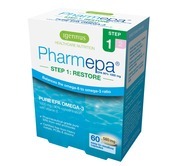 Step 1 Phamepa Restore has a high level of Omega-3 e-EPA designed to bring your EPA levels up to optimal levels with a 2 a day easy to swallow capsule. 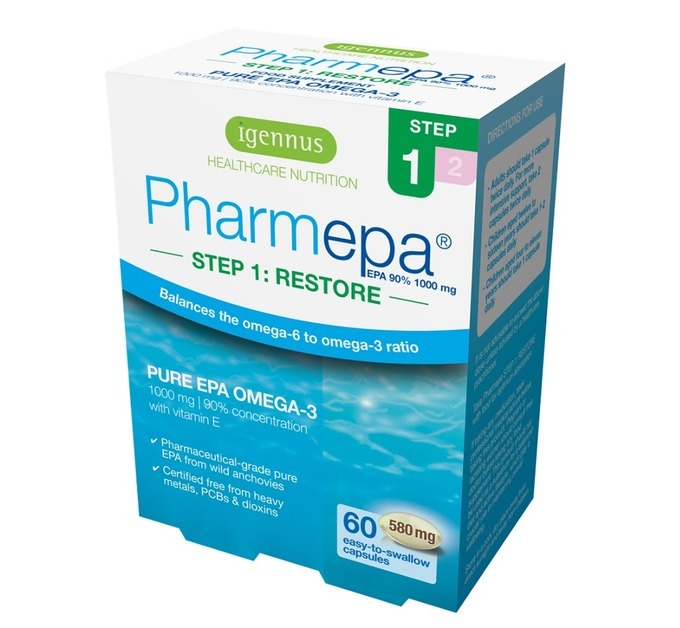 Step 1 should be taken for 3 months and then it is recommended that Step 2 Pharmepa Maintain be continued to regulate and maintain your Omega-3 to 6 ratio. Long term users of omega 3 supplements can opt to skip Step 1 and take Step 2 as a maintenance supplement. If you have not previously supplemented with pure EPA. If you have had a break from an Omega supplement. 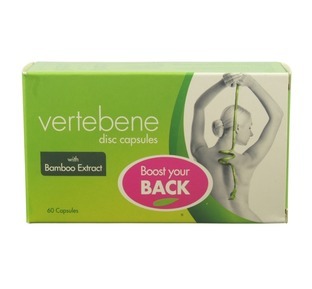 Adults and children over 12 years old up to 2 capsules per day. Children 4 to 12 years old 1 capsule per day. 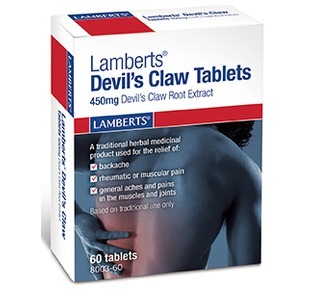 If you are taking any medication that thins your blood or acts as an anti coagulant do not take this supplement without medical advice from your GP. Pregnant or lactating women should consult their doctor before taking any food supplement. Helpful advice. Very prompt delivery. Great service. Will definitely use again. Your website has alot of good information. Very friendly staff making ordering simple. I will recommend you. An excellent product. Easy to swallow. Very fast delivery. Good service and delivery. Good price.